Third beach Stanley park sunset dusk engagement romance - Best Vancouver wedding photographer Jozef Povazan Photography studio. Third beach Stanley park sunset dusk engagement romance. Unique, edgy and modern scenic pictures from the best wedding locations around Vancouver where your story will have an epic feel to it. Strong and bold lighting effects so many people love to have created for their memories. Photography is an art and. You are the story and having a great time and living the moments will make it everlasting. Send me a message and let's chat how you could have your fun time captured very unique way. 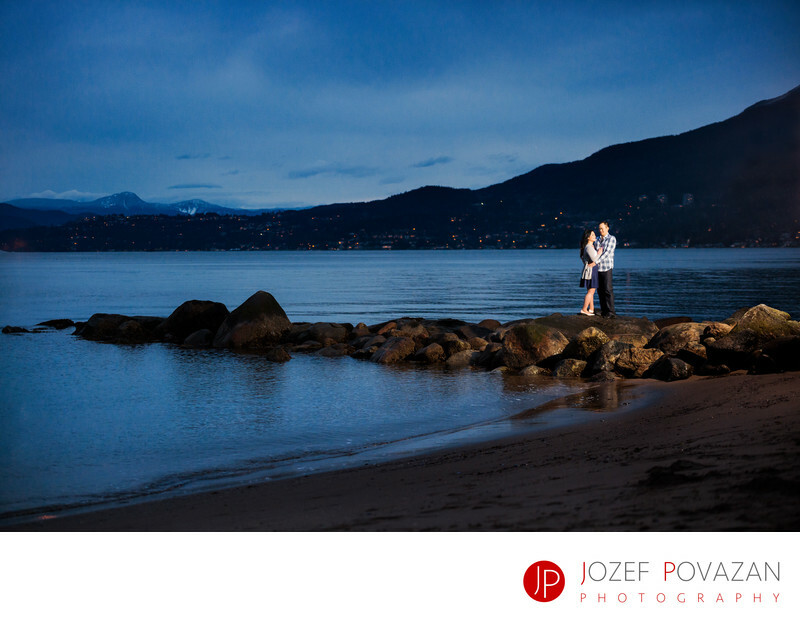 My name is Jozef Povazan and I am Vancouver wedding photographer. Location: Third beach, Stanley park, BC, Canada.